Most maintenance managers at CMMS companies have their purchasing department on speed dial. Your maintenance crew is constantly ordering parts and supplies—not to mention working on large asset acquisitions. This close contact means these two departments can make each other’s lives easier… or much more complicated. So how can you make this relationship stronger? CMMS software can help you—making maintenance teams and CMMS companies more efficient while also following purchasing rules. Let’s see how. First, let's talk about what each department needs—and wants—from the other. Purchasing has rules. It’s your purchasing team’s job to make sure those rules are followed. The maintenance team needs to understand those rules, so they can follow them correctly. Purchases under $200 can be made with petty cash or submitted for employee reimbursement. 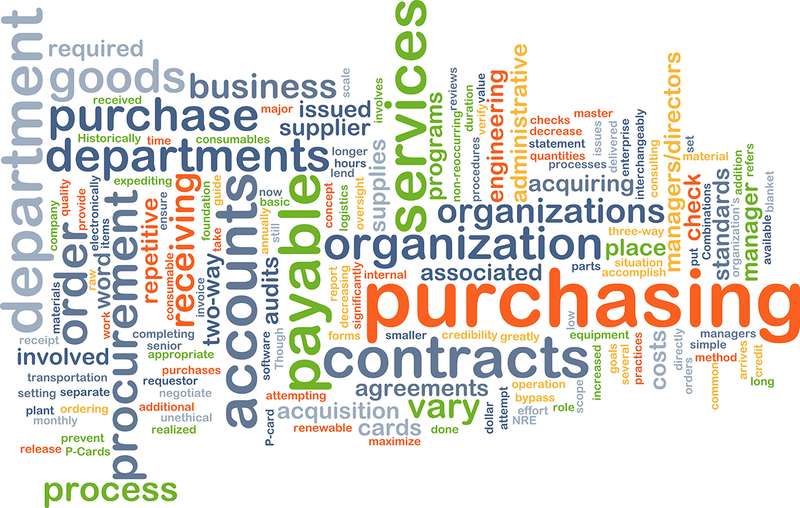 Purchases over $200 require a purchase order or a company credit card via an authorized employee. Major asset repairs via vendors or purchases over $10,000 require an RFP or competitive solicitation process, unless a cooperative contract has already been established. If a contract is established, the terms of that contract should be followed. Knowing—and following—these rules makes your purchasing folks happier because it makes their job easier. And it makes your maintenance team’s job easier too. Because any delay in the purchasing process means there’s a delay in something getting repaired. And let’s face it—when the pressure’s on, the maintenance department feels the heat. Anne uses her MPulse Software, Inc to make her maintenance team more efficient while also following the rules. Using MPulse DataLink, Anne’s company integrated MPulse with the purchasing department’s financial software. This extra investment means important information is exchanged automatically, making both departments more efficient. With MPulse DataLink, both software applications contain the most current and accurate data, making it easier for everyone in CMMS companies to do their jobs. Maintenance and finance are mission-critical business functions for organizations of all sizes, from small business to enterprise. What’s your relationship like with your purchasing department? How could you improve it? Leave a comment or contact us.